Every ten years, the British Film Institute’s Sight & Sound Magazine releases a list of the top ten films of all time. 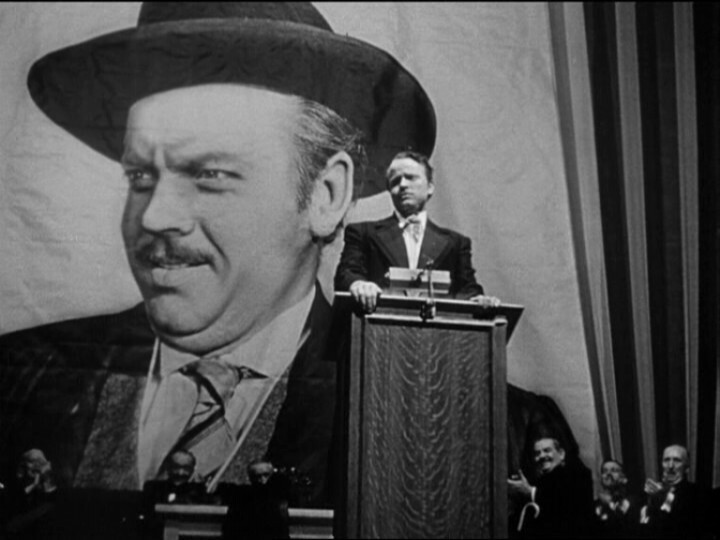 For every year from 1962 until 2002, Orson Welles’s “Citizen Kane” was hailed as the greatest film ever made. And for the past fifty years, it has become conventional wisdom that “Citizen Kane” is indeed, the greatest film ever made. This time around, Alfred Hitchcock’s “Vertigo” was crowned as the greatest film of all time from votes by 846 movie experts. I am not sure what constitutes a “movie expert” in BFI’s eyes, but it certainly isn’t Pete Hammond or Brett Ratner. Now, I don’t consider myself a complete movie expert just yet. I don’t think I’m completely certified until I’ve seen at least one Robert Altman film that isn’t “Popeye.” I should also check out “Lethal Weapon” already. But I can say that “Vertigo” is an excellent film, and one that is worthy of the growing influence it has gained over the years. Most people probably don’t remember that “Gigi” (just one letter off from being “Gigli”) won Best Picture that year. However, no one will ever forget that “Vertigo” didn’t even get nominated. As a filmmaker, getting a spot on a list is actually a much bigger honor than getting a chunk of gold in the shape of a naked bald dude. Personally, I might not have chosen “Vertigo” as the best film ever made. It is not even my favorite Hitchcock film. Personally, I would have to go with “Rear Window,” which represents everything that a film should be. It contains a perfect balance of horror and humanity alongside a series of vignettes both heartbreaking and hilarious. It might not be his most landmark directing, but it is his greatest feat as a storyteller. This is the closest that anyone would come to seeing a naked lady in theaters in 1958. “Vertigo” could be considered one of the first psychological thrillers ever made. Or at least one of the first to go into reality-twisting dream sequences out of nowhere. The first time I ever saw “Vertigo,” I was in seventh grade. I had yet to see “Memento,” “Fight Club,” or “Mullholland Drive,” so the idea of a character being totally fabricated throughout was still foreign to me. 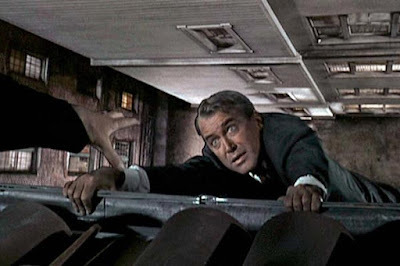 I will admit that I didn’t quite understand the appeal of “Vertigo” the first time around. Catching it on Turner Classic Movies sometime later, I finally understood what was so damn special about it. Also, I cannot neglect to mention that this is the creepiest and most compelling performance that Stewart ever gave. “Aw, shucks” this certainly was not. Compiling a list comparing any aspect of culture, whether it be film, television, or music, is not as easy as it looks. There is a fine line between subjectivity and objectivity, and it seems to be just fine to messily walk the line between both at all times. 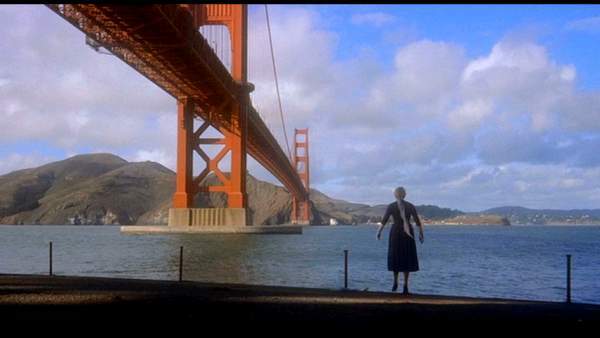 Is “Vertigo” both objectively and subjectively the greatest film of all time? I will have to give it another watch through, but I still find it hard for it to be objectively so. While it definitely deserves a spot in the top ten, I still see “Citizen Kane” as deserving that top spot. Even though it is not subjectively my favorite film of all time, I can say with no doubt at all that most great cinema we see today would not exist without it. As for the rest of the critics’ top ten list, I feel ashamed to say that there are quite a few films on it that I still have not seen. However, I have been hearing more and more about “Tokyo Story.” Thanks to this list, “Sunrise: a Song for Two Humans” is officially on my radar. A great thing about lists like this is that you can come away from them with a few new films you have never heard of. “The Searchers,” which earned a spot on the list, has continued to gain more and more prominence with each passing year. To think that it jumped from spot 96 to spot 12 on AFI’s Top 100 list. One thing I will never understand is the appeal of Fellini’s “8 1/2.” It certainly is not a bad film. However, his beautiful “La Dolce Vita” deserves to be the defining film of his career. While “La Dolce Vita” is filled with a similar level of chaos and bright colors, it also has memorable characters to latch on to. In order to move forward as a medium, film must constantly change. That includes our view of its past. It is good to see that not everyone is going to agree that “Citizen Kane” is the greatest film ever made. A conversation between contrasting voices is how better, more informed opinions are created. Along with the critics’ list, the BFI also releases a list in which directors get to choose the top films. This year’s directors’ list includes a few masterpieces that were wrongly neglected from the critics’ list, such as “The Godfather,” “Taxi Driver,” and “Apocalypse Now.” I guess the people who actually make the movies must know better than the people that review them. This entry was posted in Alfred Hitchcock, BFI, Citizen Kane, Greatest Films, Jimmy Stewart, Sight and Sound, Sight and Sound Poll, Vertigo on August 2, 2012 by ian0592.